Our new journalist, Muheebwa Hillary, talks about CALM Africa and the great growth they’ve seen over the years, from a Ugandan perspective. Read about CALM Africa’s achievements through working in collaboration and opening up new avenues, in the first of our ‘on the ground’ reports. The car’s shadow slides over the vegetation on the leeward side of the sun, as we slowly move on a murram road to Uganda Youth Development Link’s Masooli Youth Centre, in Wakiso district. James Kimera Ssekiwanuka is heading there, as part of his network assignment. Networking has had a big impact in the growth and outreach of Calm Africa, where James is the Director. Uganda Youth Development Link’s (UYDEL) Masooli Youth Centre is a stopover home for trafficked children, orphans and other disadvantaged youthon rehabilitation. The aspirations of UYDEL match with Calm Africa’s agenda, which include promotion, observance and protection of the rights of the child in general, and concerned with the plight of vulnerable children in particular. Through networking, James and Calm Africa have spread their wings beyond Uganda. From its humble beginning as a self help group in Rakai and Sembabule districts back in 1985, Calm Africa evolved into a community group and is now a fully licensed Non Governmental Organization, with partners across the world. Some of the international partner organizations associated with Calm Africa include Children First Uganda, Real Gap Experience both based in United Kingdom and Infancia, based in Spain. One of their networking tools has been the exchange of volunteers. By the end of 2009, when the volunteers’ initiative was launched, over 50 volunteers were received at Calm Africa, and its affiliate education center, Jolly Mercy Learning Center. 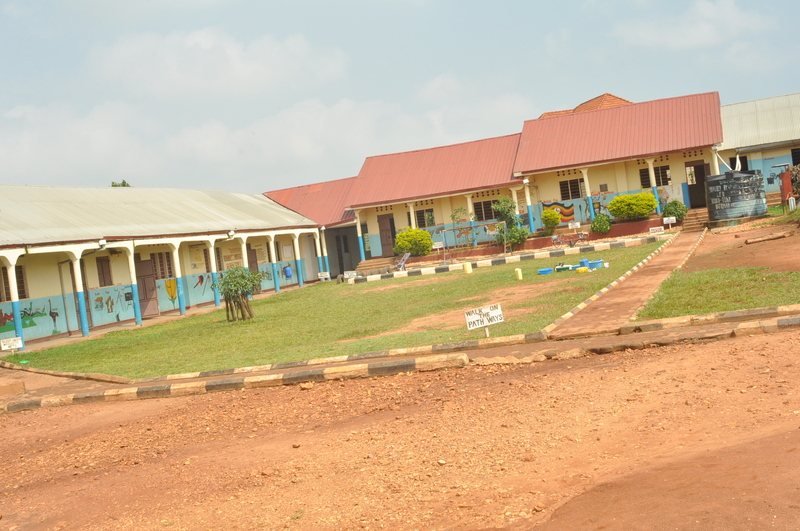 Calm Africa has three other affiliate schools based in Rakai district. These are St. James Secondary School, Kiganda Secondary School and Zefad Primary School. All the schools combined have a total of over eight hundred school attending children; more than 60% of these are orphans. Volunteers at the learning centers support in teaching classes, vocational skills training, material assistance and support, constructing houses, resource mobilization and information exchange. “Some come as volunteers and end up taking up some of the needy students, sponsoring them their school fees and other scholastic items,” says James. The networking practice extends to tertiary institutions. All leading universities in Uganda do periodically recommend students for internship training programme at Calm Africa. According to James, in the last 2 months, over 22 university students have undergone and successfully completed their internship training. The universities include; Makerere, Kyambogo, Bugema and Ndege universities. In coalition with other children support organizations, local government leadership and community groups, Calm Africa is giving disadvantaged children, orphans and other vulnerable children, an opportunity to live a decent life. This as James describes is because “the best way to protect children is to return them to their families, equipped with life sustaining skills”. Currently, Calm Africa conservatively says they are supporting over two thousand children, both directly and indirectly in the districts of Rakai, Wakiso and Kampala. At Masooli Youth Center, James is scheduled to meet with the community social workers, to devise ways of how to manage trafficked children, further expanding his outreach in working with vulnerable children. Muheebwa Hillary will be writing more articles for CFU and CALM Africa ongoing, to follow the work being done and provide news from in the area. These will be available on our blog in coming months, so follow us to get updates on newly added articles.